This blog post was written and researched by Cynthia Hollingworth, a volunteer at Trafford Local Studies. Today, 7th May 2015, marks the centenary of the sinking of the Lusitania. One of my pleasures when researching family history is tracing the home of an ancestor. To be able to see exactly where they lived, and the neighbourhood they moved in, somehow makes them more human, and brings them to life. That was how I felt when I heard that the wife and sons of Captain William Turner, the controversial commander of the Lusitania at the time she was attacked and sunk by a German submarine, had lived in Sale. Image 1 – The Lusitania arriving in New York on her maiden voyage. Wikipedia: George Grantham Bain collection. I had passed this house regularly for many years without having any idea that it was at all ‘special’, but now I know that Captain Turner’s wife and children had lived in Springfield Road, Sale. Captain Turner’s name doesn’t appear on the street directory and census entries, but whether this is because he was always away, or because by the time the entries start, he had moved out of his marital home hasn’t been established. Certainly his wife was listed living at Sale until 1904 when she moved to Flixton, and from there to Bowdon. Born in Everton, Liverpool, in 1856, William clearly had seawater in his veins. His father was a mariner, and William himself first went to sea as a very young cabin boy. His career was an eventful one, and he survived several dunkings as ships foundered or sank. That clearly didn’t put him off, and he rose steadily through the ranks to become a highly respected captain. In 1885, he married Alice Helen Hitching, who may have been his cousin, and they had two sons, Percy Wilfred and Norman Henry. Sadly, the marriage failed, possibly because of his frequent long absences from home. William continued in his career, proving himself to be both a gifted mariner and a brave one, receiving several awards for rescuing victims of shipwreck. He commanded the Lusitania for a time before sailing with the Mauretania and Aquitania. However, in the spring of 1915 when Lusitania’s Captain Daniel Dow succumbed to the stress of war, he was again appointed her commander, for the fateful sailing. 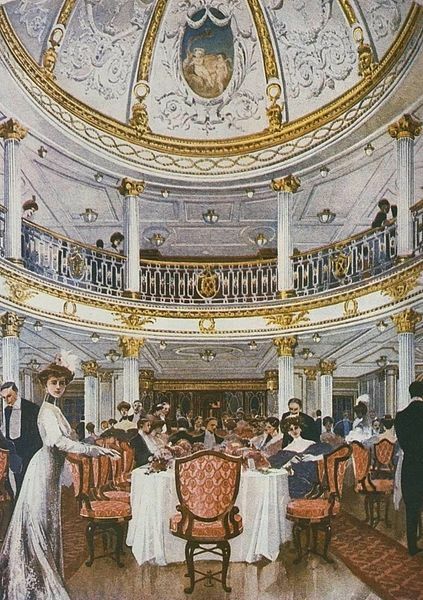 Image 2 – The First Class Dining Room on the Lusitania. Wikipedia: public domain. The story of the sinking of the Lusitania can be found in the newspaper reports of the time, and the loss of so many of its citizens almost brought America into the war at that time. Reaction included a protest from local Germans, reported in the Altrincham, Bowdon and Hale Guardian. Image 3 – German Atrocities: strong protest by local Germans. Altrincham, Bowdon and Hale Guardian, 14th May 1915. The Admiralty tried to blame Captain Turner for not taking evasive action, but a Board of Trade inquiry cleared him. However, when Winston Churchill, who was First Lord of the Admiralty at the time, wrote his book ‘The World Crisis’ in 1921, he reiterated the accusation. After that, Turner seems to have become a recluse, living quietly in Liverpool with his housekeeper and companion Mabel Every. In the 1920s he was diagnosed with cancer. He travelled to Sydney, Australia in November 1924. On his return, he moved to 50 De Villiers Avenue, Crosby, where he died in 1933. He was buried with his parents, Charles & Charlotte Turner and his eldest sister Annie Maria Turner, in the Rake Lane cemetery, Wallasey, and we may never know the whole truth of this tragedy of war. 1 Wikipedia: George Grantham Bain collection – no known restrictions. 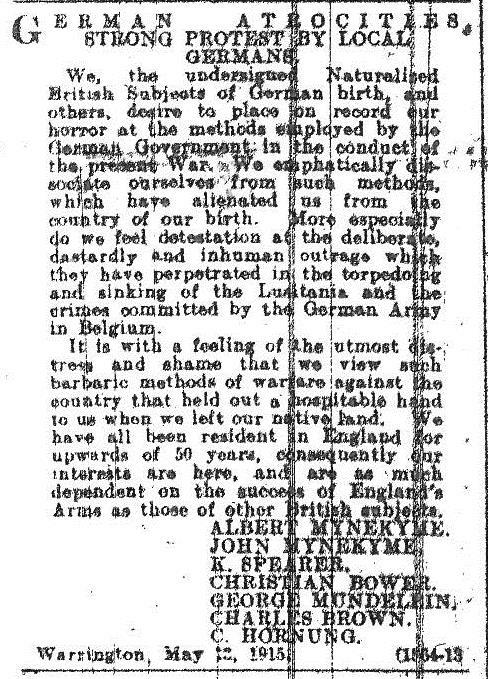 3 Altrincham, Bowdon and Hale Guardian, 14th May 1915.